And now here it is, without further ado, our long awaited, “Super Sized” Tenth Wave!! 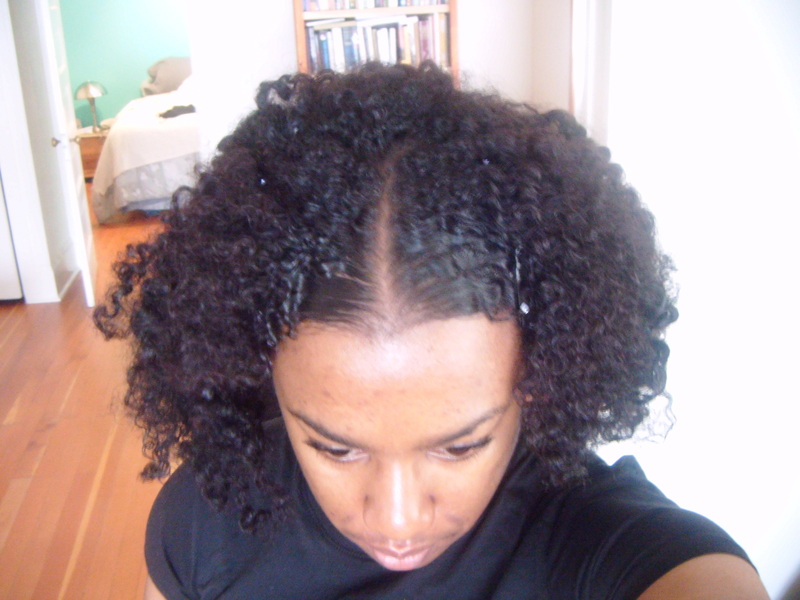 Goals: Hair – APL natural hair, so that I can get rid of the relaxed ends and be fully natural. 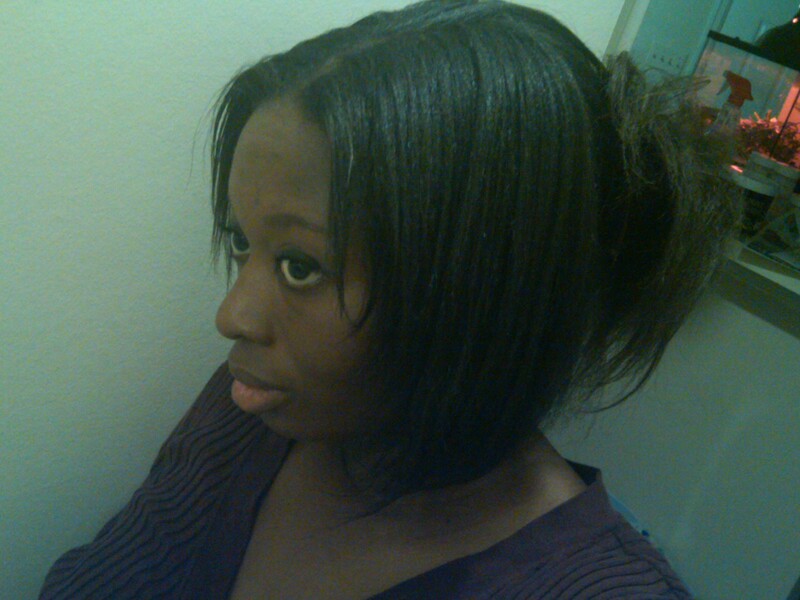 I want to really learn about my natural hair, how to style it and above all, learn to love it. 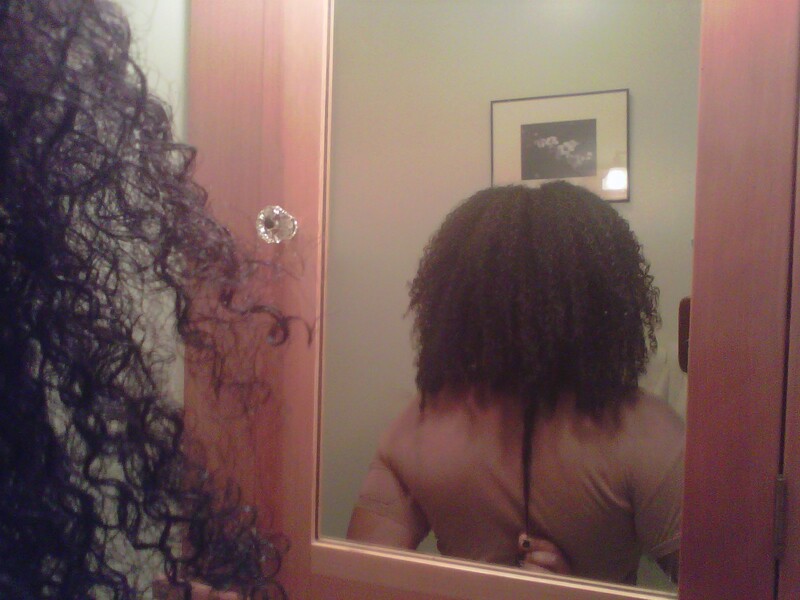 I want my hair to be big, healthy, and beautiful! ; Fitness – Due to my recent medical condition, the only thing I’m concerned with is getting back to the level of fitness that I was prior to taking ill and maintaining the current goal weight that I have reached. Anything else will be added bonus. Continue clean eating and coffee/tea/water/milk (soy, almond, coconut) intake only. 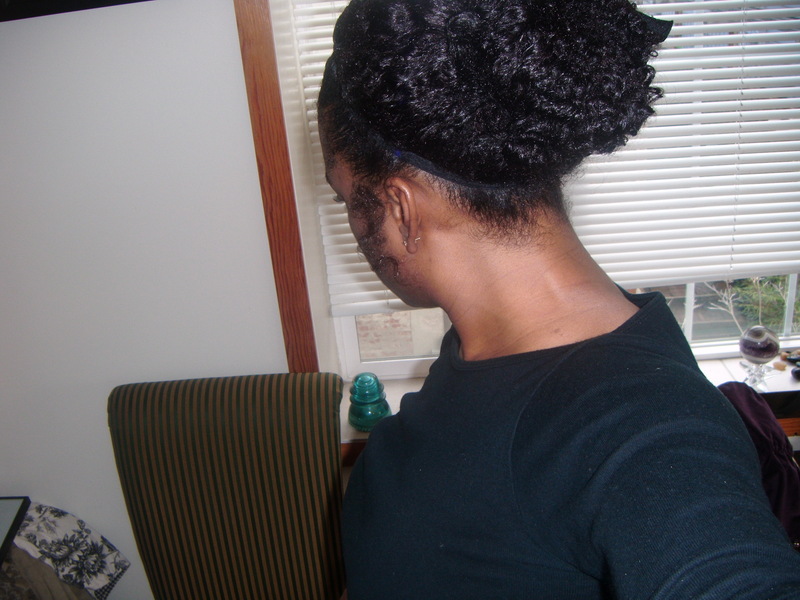 Bun 5 days a week as protective style; try other styles on weekends. I am still trying different products but my current staples are Organix Pomegranate and Green Tea Shampoo, JBCO, Eco Styler Gel with Moroccan Argan Oil, coconut oil, and the Kimmaytube leave-in. I definitely intend on incorporating henna and other Ayurvedic products. I also want to get into hot yoga and Capoeira (Brazilian Martial Arts). 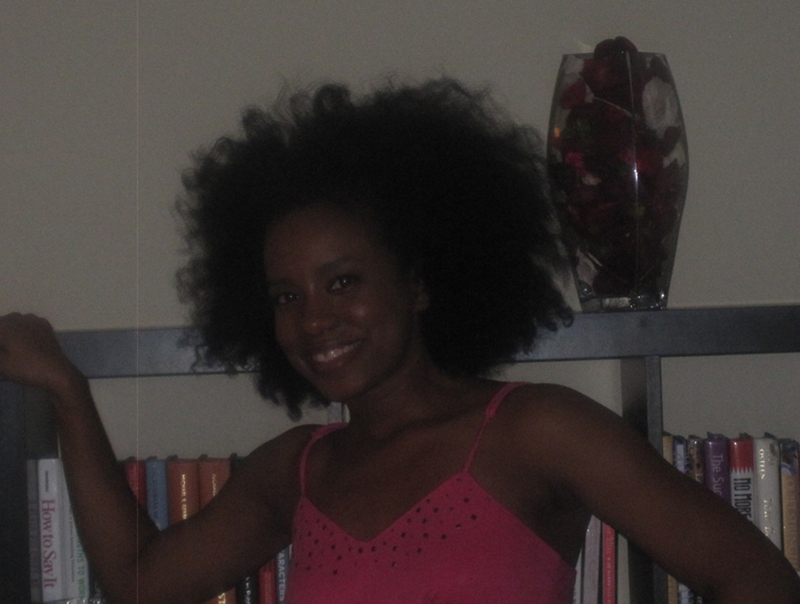 Reward: Hair – I know it sounds corny, but if I can achieve this goal and chop off my relaxed ends and be fully natural again, that will be the best reward ever. I’ve hated my natural hair all my life, which prevented me from totally loving myself — I will be complete; Fitness – A mini shopping spree but once again, my health is most important and as long as I can maintain my current weight I will be happy. 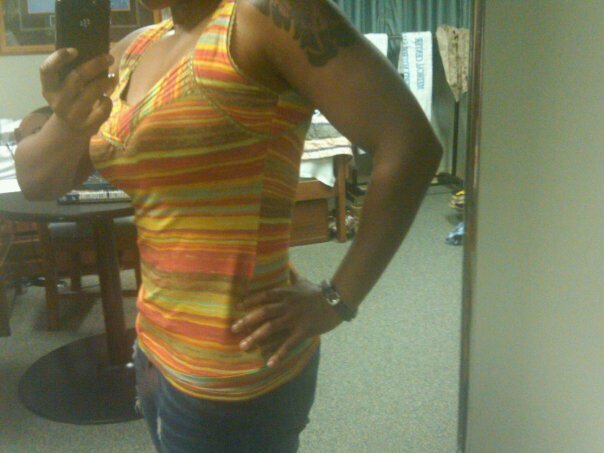 Goals: Hair – Length retention, bra-strap length (BSL); Fitness: Exercise at least twice a week. Fitness Regimen: Plan to work out at the park district by my school once on the weekends, and then once during the week, wake up a little earlier on my late-start day of classes to go running. 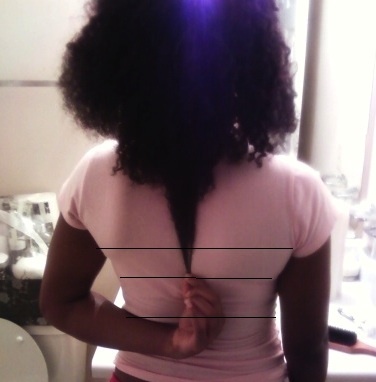 Reward: Hair – Once I reach my hair length goal, I will treat myself by straightening it, since I have gone without heat for about 6-7mos now. Fitness: A shopping trip splurge item. Current State: Grazing bra strap length (BSL); Skin – I get bad acne on my cheeks periodically. Goal: Full midback length by the end of the challenge; Skin – Improve skin long term. I am an avid shampoo-er. 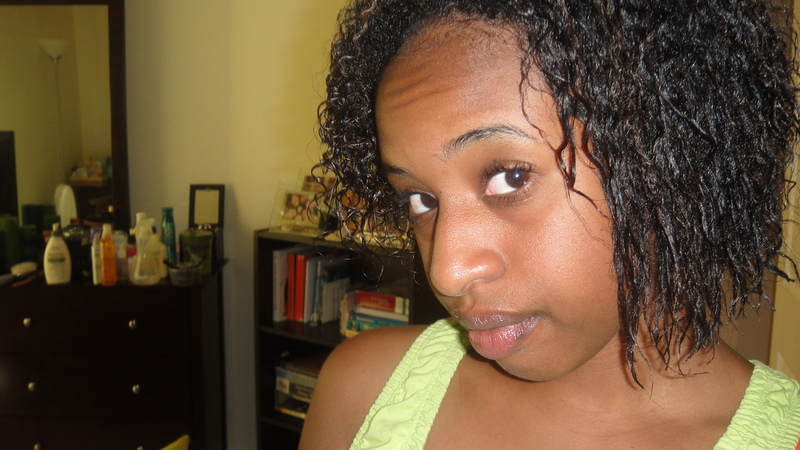 I love washing and conditioning my hair every week. However, I plan to alternate shampooing and co-washing each week, including cowashing two or three times in a single week periodically. 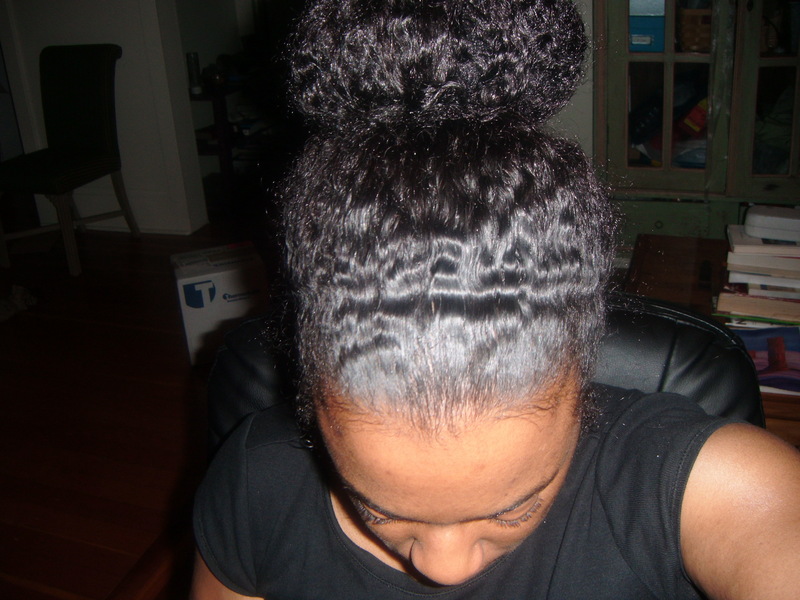 I always deep condition with every wash (not necessarily with a conditioner intended for deep conditioning). 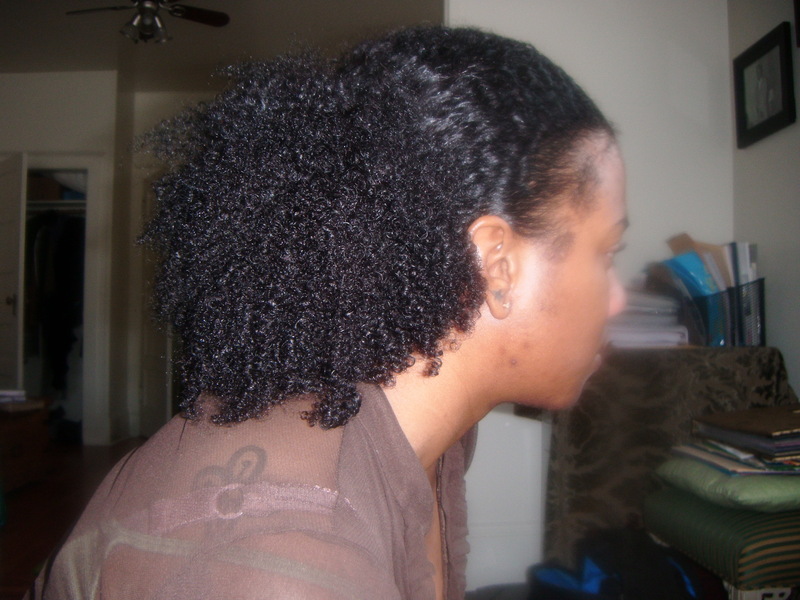 Again, however, I will not deep condition with each mid-week co-wash, only the weekly wash at the beginning of each week. I usually always twist immediately after DCing, but will attempt to do more bunning. 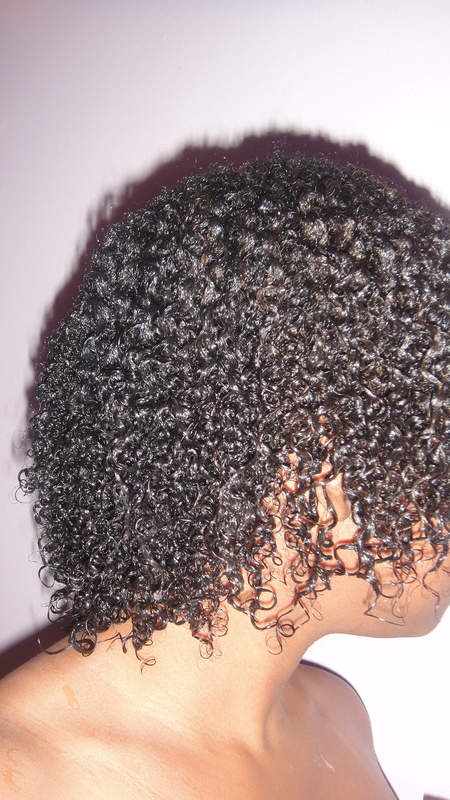 I will use a leave-in (varies, but prefer cantu shea butter). Seal with castor oil or castor oil mix. Style with fragrant moisturizer (aroma therapy). I rarely wear my hair down/out/loose, because it doesn’t look good on me UNLESS it is a twist out from small or medium sized twists worn all week. 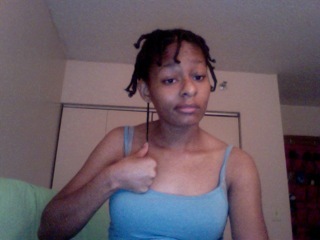 Then and only then will I wear my hair out, but only for about two days. I’ve added henna glossing to my regimen (first attempt September 1st). Reward: I will straighten my hair. 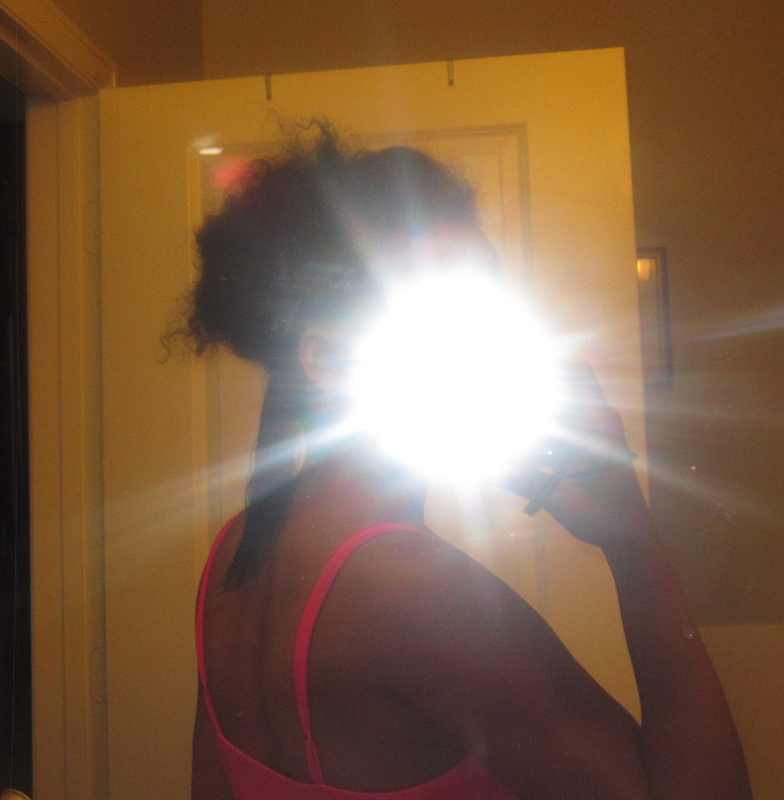 I’ve only straightened once since being completely natural. 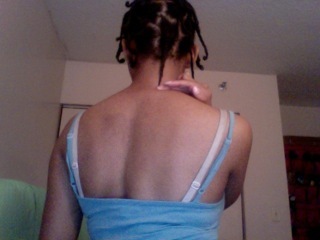 I am 3 years post relaxer and 1.5 years natural (or post BC). Follow me online: Working on it (honestly!). Goals: Hair – Mid-back length (MBL); Weight – Lose 10 pounds; Personal: I’m applying to medical school this cycle, so it would be really great for an acceptance to coincide with the end of the challenge. Reward: Buying new products! Also, I’d like to end the challenge with a mini-vaca, though I’m not sure where yet! Goals: Hair – Mid-back length/MBL (back), bra-strap length/BSL (front); Weight – Size 6, Lose 1-2″ off of waistline (I don’t weigh myself since I do weight training and probably weigh much more than what’s considered “average” for my height). I would like to continue to manage my MS as best as possible. Moisturize and seal daily: Oyin Hair Dew, Shea Moisture Curl & Style Hair Milk, Shea Moisture Curl Enhancing Smoothie, Shea Moisture Hold & Shine Hair Moisture Mist, Curl Junkie Smoothing Lotion, Curl Junkie Hibiscus & Banana Honey Butta, Claudie’s Hair Revitalize Moistening End Insurance, and jojoba, castor, olive, grape seed, and sweet almond oils and various homemade butters. Try to get in as many serving of organic raw veggies in the day as possible (Salads and green smoothies mostly). Snack on raw, organic nuts and seeds. Keep up with going to the gym every other day: Weight training, cardio and stretching. Reward: A modest shopping spree for clothing. 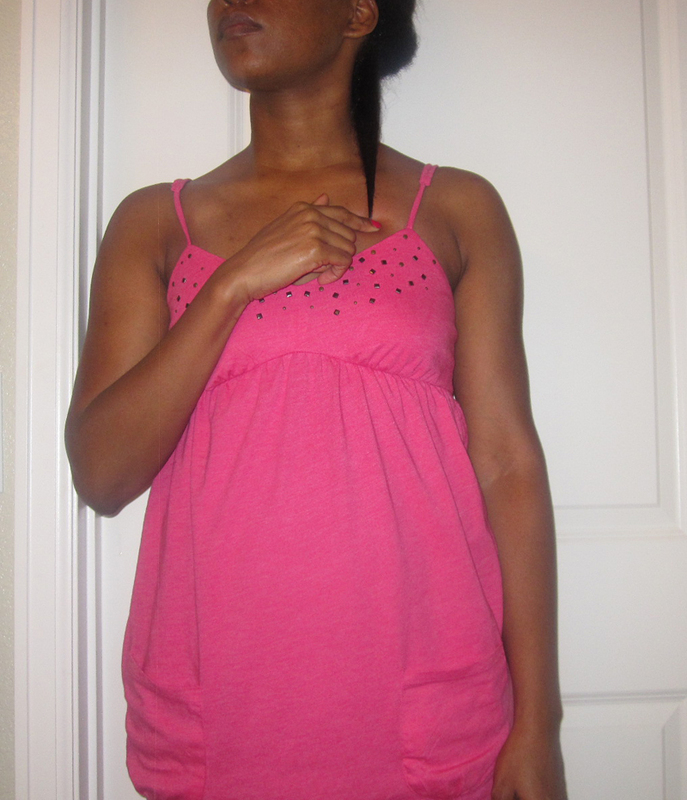 A s h l e y   F .
Current State: Layered, longest part is a little longer than shoulder length (SL) when straight. Goal: APL or longer by December 31 (that’s taking into account at least one good trim). 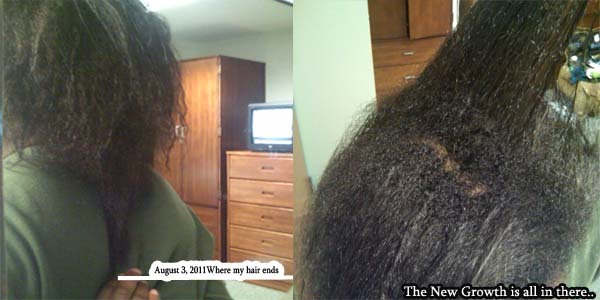 I got a major cut (over 12 inches) in March of this year as a result of health-related hair loss that occurred in 2010. 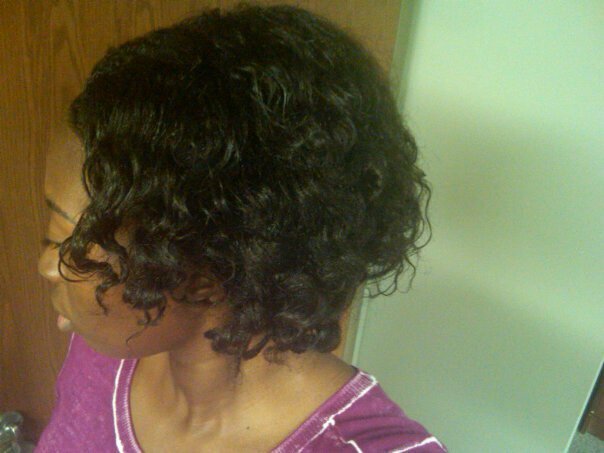 Ultimately, I want to get back to my pre-hair trauma/pre-cut length (mid-back) and thickness. Hair Regimen: For the most part, I’ll continue to do what I’ve been doing. I will be incorporating Cocoveda shampoo bars on wash days, and I will still only use gentle sulfate shampoo when I need to remove silicone. I rarely use heat to style and I plan to keep that up. I usually get regular trims, but since my cut, I haven’t gotten any. Since I don’t really heat style, my ends have held up well. But, I don’t like any sign of scraggly-ness, so as soon as I straighten again, I’ll be getting trimmed. 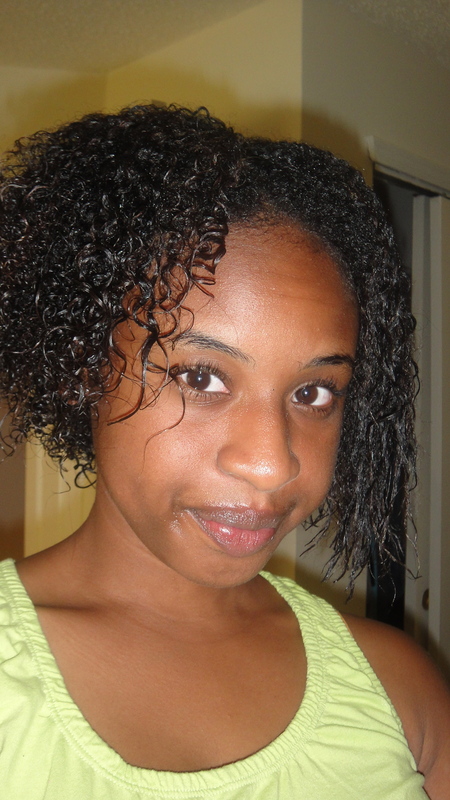 In terms of improvement, I would like to be more regular with my moisturizing and deep conditioning. 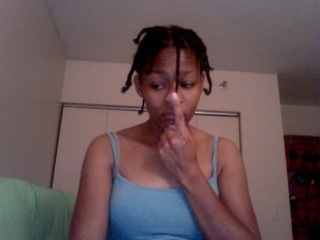 I try to steam condition my hair 2x a month, but lately it’s been sporadic, if at all. I just purchased a cordless Hair Therapy heating cap. So, hopefully, that’ll make things easier, since I’ll be able to be mobile while doing deep conditioning and oil treatments. I’d also like to get twice weekly scalp massages to increase circulation. If I’m lucky, my hubby will agree to do them. If I’m not, I’ll likely buy a manual scalp massager. I’m on a high intensity fitness program, so I workout 5-6x a week. I’m pretty health-conscious and I do my best to eat well. Reward: Hmmm, like I need another excuse to spend money. I’ll keep it simple, maybe a couple of slouchy beanies from Threadmill and a cute head scarf along the way. Reaching my goal is reward enough. That’s it!! The “Official” GOC list is closed. Please welcome our new GOCers!! I hope we can all learn from each other over the course of this challenge. And, remember, even if you aren’t an “official GOCer,” you can still play along and get featured as an “At Home Player” by sending me details of your personal goals, progress, challenges, successes and don’t forget the pics! Congrats ladies welcome to the GOC!!! Happy growing!!! I’m praying for your med school acceptance!!! Aww that is so sweet, thank you so much!